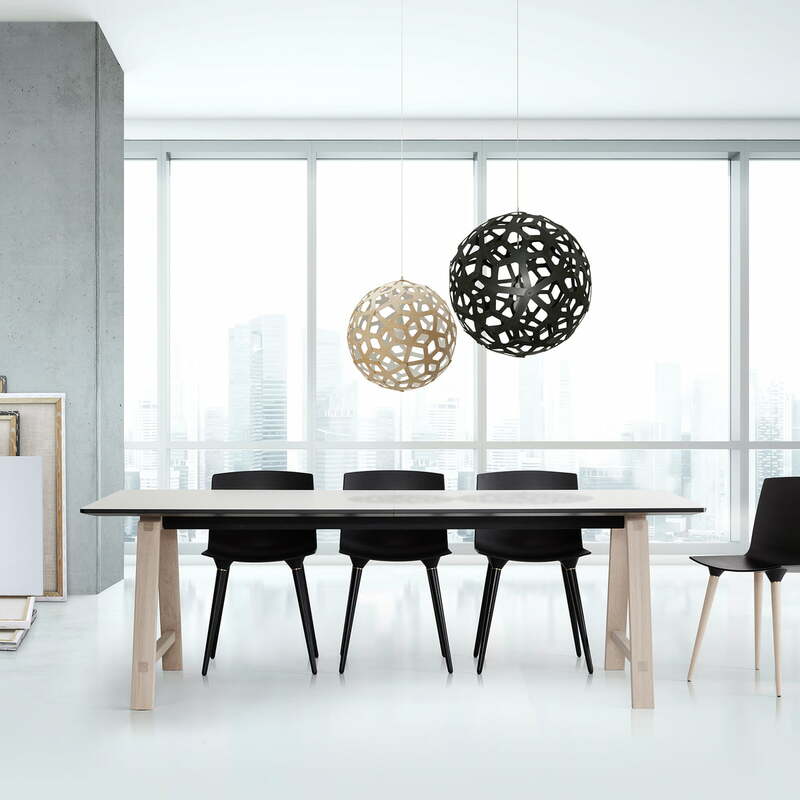 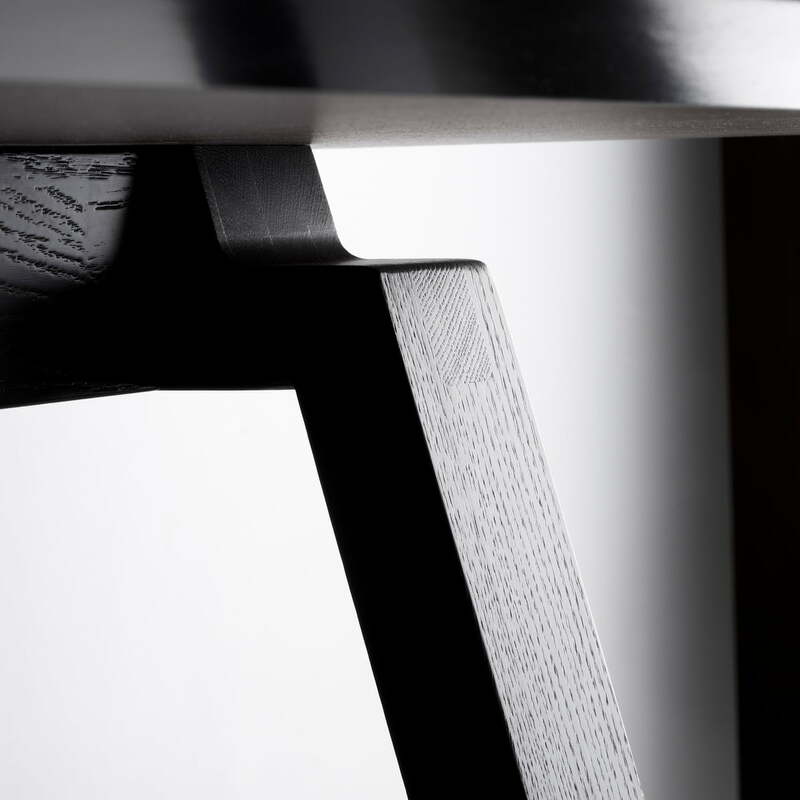 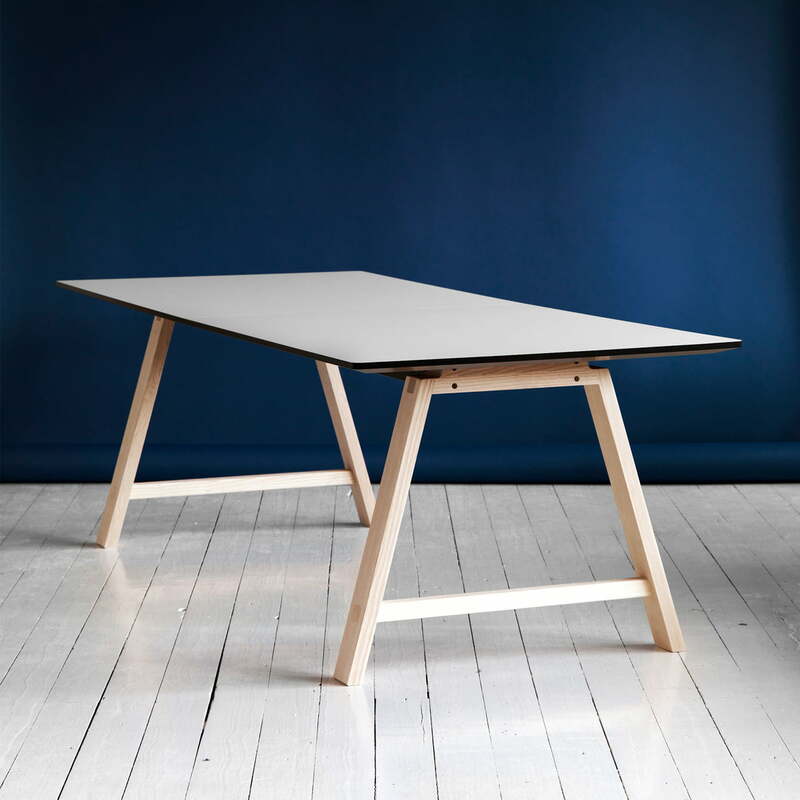 The table with a length of 220 cm allows to be extended with up to four additional leaves (not included) to up to 420 cm. 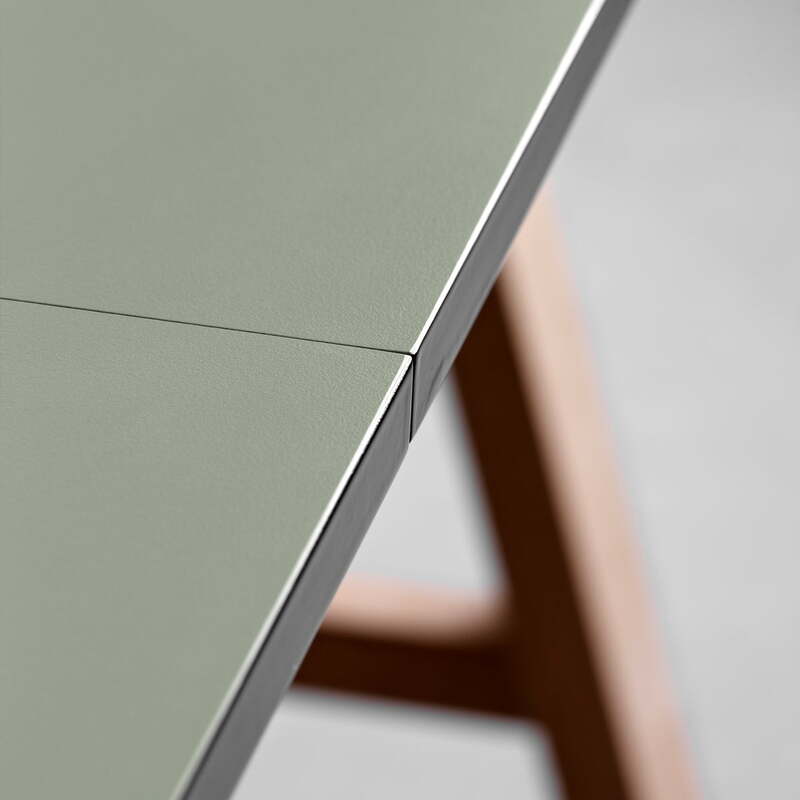 Thus, the dining table offers space for 8-14 people - depending on the seating. 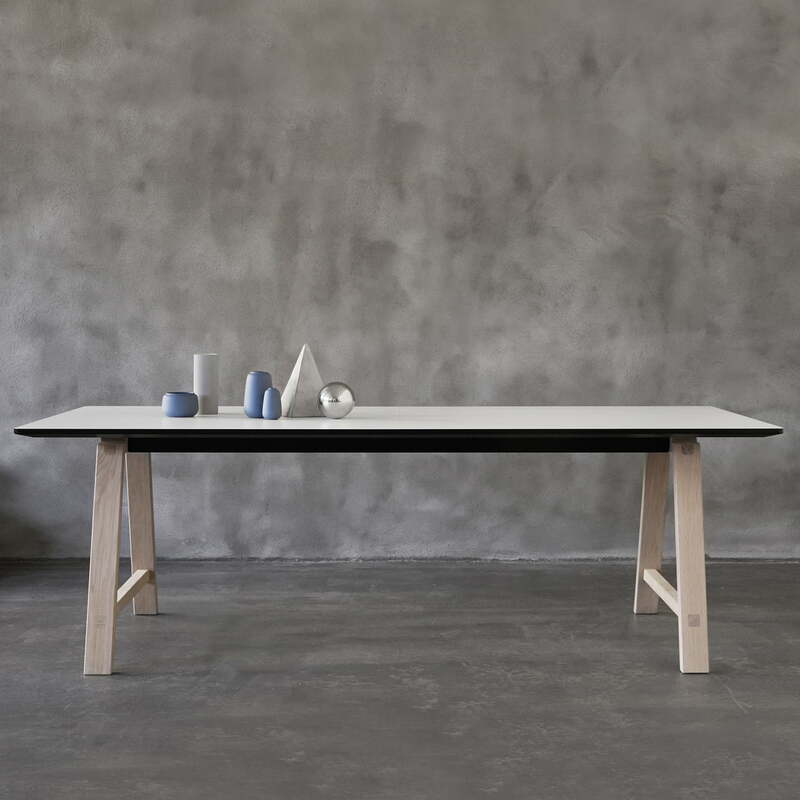 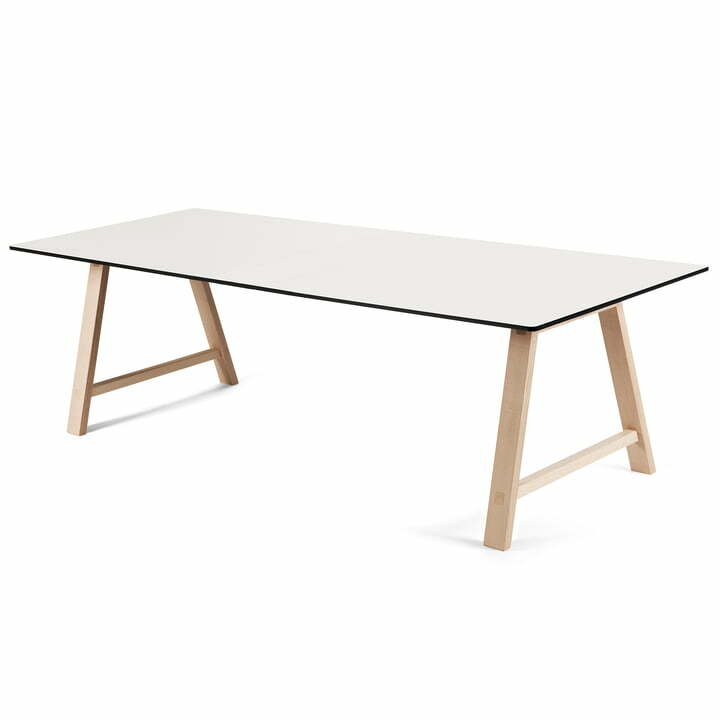 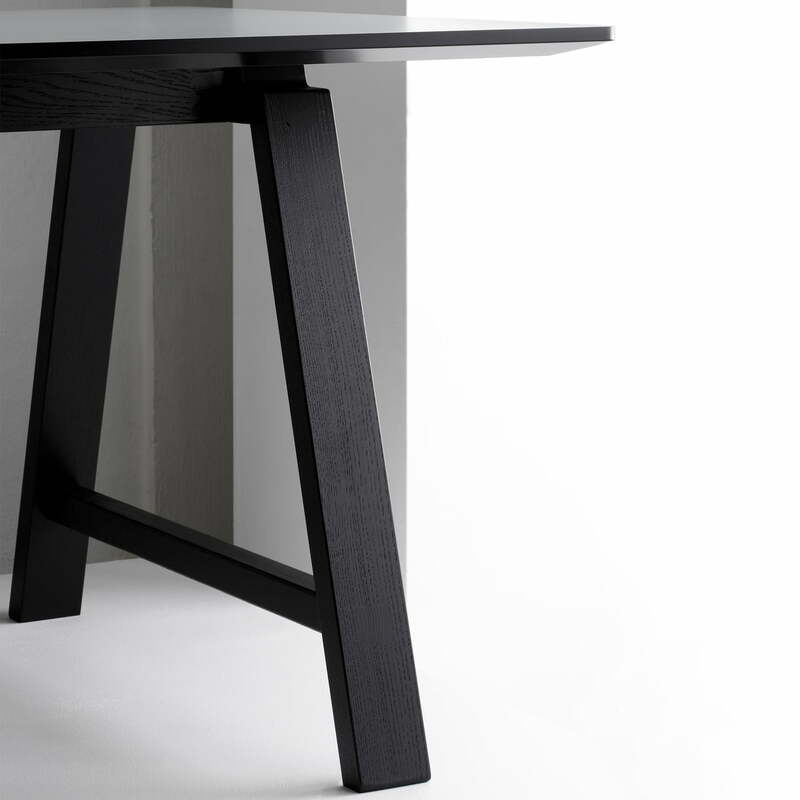 Product view of the T1 Extendable Table with a basic length of 220 cm by Andersen Furniture. The frame consists of soaped oak and the table top is made of laminate in white.